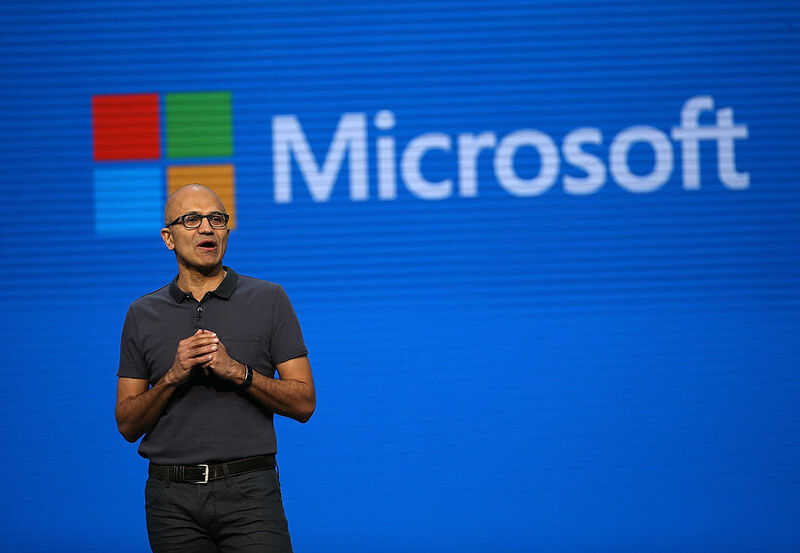 In Microsoft's most recent fiscal year, the technology company's CEO Satya Nadella made more than $20 million. The 50-year-old's pay package of cash and stocks was revealed in Microsoft's annual shareholder proxy filing. Nearly half of Nadella's pay package is based on how well he performs on an annual performance review. The corporate report card evaluates his accomplishments in three areas: product and strategy, customers and stakeholders, and culture and organizational leadership. Nadella passed with flying colors and was able to bring in an extra $7,032,406 bonus on top of his $1,450,000 base salary. Nadella ranked highest in the category of culture – scoring 145% of his goal. Microsoft's board not that under Nadella's "growth mindset" philosophy, he challenges executives and employees to think beyond assumptions, expect the unexpected, and change their strategy as new data. "The Company widely adopted leadership principles that help its leaders deliver clarity, generate energy, and deliver success," Microsoft's board wrote in a statement. In customers and stakeholders, he received his next highest score, or 125% of his goal. He also scored an even 100% in the product and strategy realm. In addition to miscellaneous compensation, the board awarded Nadella with $11,434,557 worth of Microsoft stock, which brought his total pay to $20,014,152. Nadella has been Microsoft's CEO since 2014 and, according to his report card, this was his best yet. Last fiscal year, he brought home $17,692,031. Microsoft has been having a good run over the last five years, since Satya Nadella took on the CEO position. Microsoft has added nearly $500 billion to its market cap since Nadella moved into the CEO's office. So why isn't he being paid more?